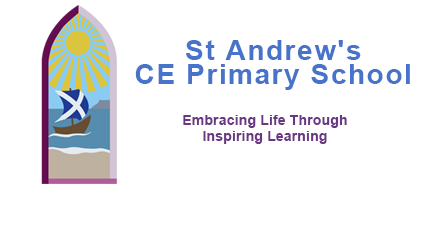 Welcome to St Andrew's CE Primary School. Topic Showcases - Friday 15th February, 2pm. Welcome and thank you for your interest in our school. We hope that our website will provide you with any information you need, as well as providing you with a flavour of life at St Andrew’s.